East Central University's College of Liberal Arts and Social Sciences takes a student-centered approach inside and outside of the classroom, providing quality instruction and producing research and creative work that enriches our academic disciplines, our communities, and the lives of our students. Grounded in tradition, embracing the present, excited about the future! We teach the traditional liberal arts and social science disciplines of art, communication, English, history, music, political science, sociology and theater along with applied programs in counseling, criminal justice, legal studies, mass communication, services to the deaf, social work, and water resource management. We also offer an interdisciplinary program in Native American studies and a general studies program designed to serve adult learners. The College of Liberal Arts and Social Sciences hosts events and programs all year long. To name just a few, these include the Chickasaw Nation’s Arts Academy, Law Day, the Little Dixie Choral Contest, and the Scissortail Creative Writing Festival. We are home to the Brandon Whitten Institute for Addiction and Recovery, and our Water Resource and Policy Management students and faculty monitor creeks and streams for water quality. Check out our website to learn more about these and other activities. The School of Fine Arts includes the Department of Art, the Music Program, Communication and Performance Studies, and Mass Communication. 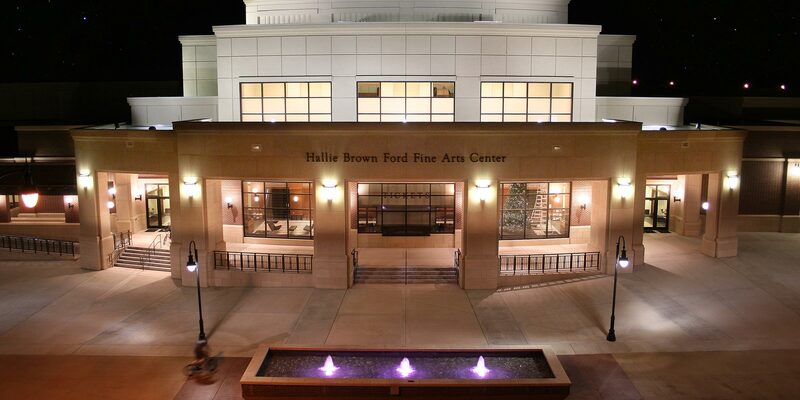 If you aspire to be an artist of any genre, the School of Fine Arts may be a fit for you! Are you interested in teaching English or delving deeper into studying the literary arts and humanities? This may be the right area of study for you! This department offers degrees in History, teacher certification in History and Native American Studies. This may be the program for you if you enjoy United States, European, World or Native American history and culture. The Department of Professional Programs in Human Services is the home of academic programs that prepare students to work with people in a variety of human services agencies and organizations. The human service field is one of the most rapidly expanding career fields in America today. At the Department of Politics, Law and Society, students are prepared for life as a lawyer, in politics or as a legal assistant through real-life experiences. The Department of Sociology studies the social causes and consequences of human behavior. Sociologists study the intimate family as well as the hostile mob, crime, and conflict, as well as the shared culture and stable institutions that bond us together. Take control of your career or educational goals by obtaining a bachelor degree in General Studies. Bachelor of General Studies offers students an alternative route to a college degree by offering a unique mix of web-based and field experience courses combined with courses from other majors. If you are a student interested in joining us, or a parent wondering whether we’re the right choice for your son or daughter, we would love to hear from you. Please contact us for more information at class@ecok.edu. And check out ECU's CLASS by following us on Facebook! If you are an alumnus or alumna or a community member who loves the liberal arts and social sciences, now is a great time to get more involved. We’d like to hear what you’re doing. Let’s work together to ensure a successful future for our students.